Magner 75 Series — C&A Associates, Inc. 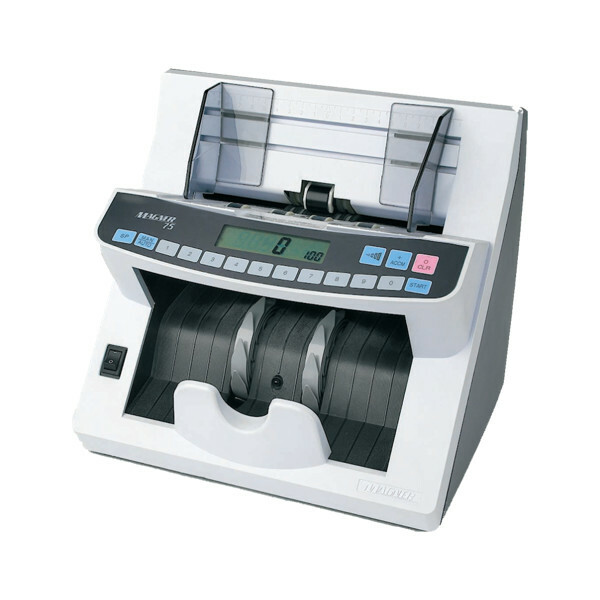 The 75 Series offers the technology, performance, and productivity you expect from MAGNER® – the global leader in desktop currency counters. With a wide range of features and options, the 75 Series is designed for accurate high speed processing, simplicity of operation, and rugged reliability, even in the most demanding applications. Choose from a basic model with variable batching or a more advanced model with dual head, dual threshold magnetic suspect counterfeit detection. Should you application require it, we also offer ultraviolet and magnetic suspect counterfeit detection in combination.